The music is on. The studio is yours. A grooming experience for the modern gentleman. Enjoy a grooming experience without the noise or wait. When you book with A Cut of Jazz, we’ll reserve the whole studio just for you. Come in for a haircut, shave, or trim, and enter a room all your own: the jazz is playing, the seat is ready — and all that's left for you to do is unwind. 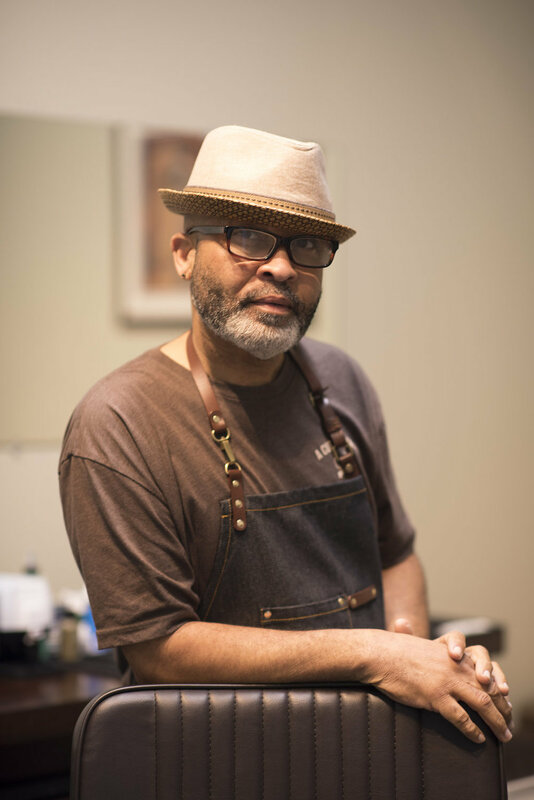 Owner Francisco Johnson has honed his craft for over 20 years, mastering all hair styles and textures. He draws inspiration from the greats of the jazz age and caters exclusively to the modern day gentleman. Rest easy with a master craftsman who delivers on the look you want with the quality you need. You deserve more than just a shave or a haircut. Our studio services will leave your skin and hair feeling as good as they look. Expect products with only the best ingredients and an experience that caters to you. Hair mastery extends beyond textures or style. It’s all about achieving your signature look, exactly as you imagine it. 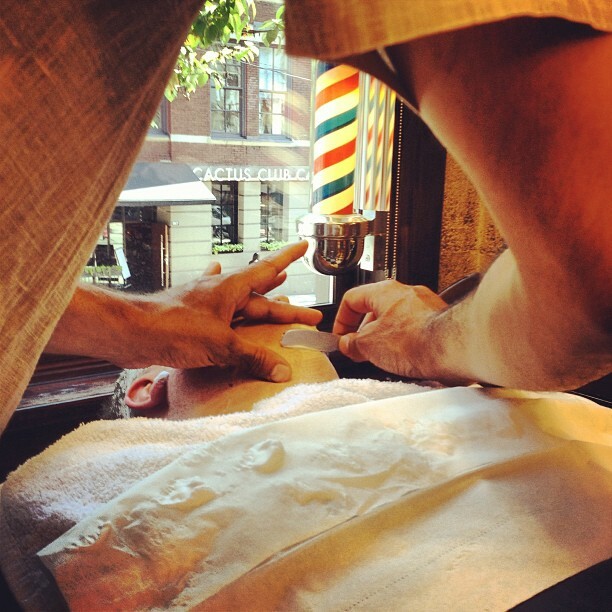 Includes a straight razor clean up, relaxing hand massage, and most importantly—a fresh cut composed just for you. 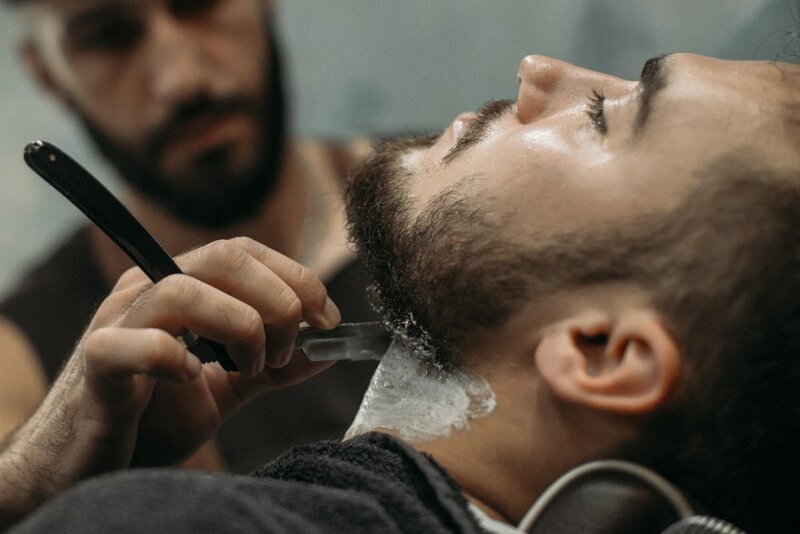 The perfect straight razor shave. Features a hot lather, relaxing steam treatment, and the smoothest shave while you relax in a luxury barber chair. A hot towel and aftershave will seal the deal before you leave. Extended skin care and treatments. Treat yourself to the full experience and kick back a while longer. Clean lines, neat edges, and all style. A great beard takes expert care. Refresh and reshape your beard in this treatment for a clean look plus healthy facial hair. Features a hot lather, steam treatment, and artful shaping to make the details sing. Straight razor craftsmanship upgrades this experience. Fine-tuning keeps you fresh longer, and it’s all about quality in the details. Over 20 years of barbering, jazz, and passion. A man of the jazz masters and a master hair man, Francisco “Cisco” Johnson is a barber with style. After crafting cuts for years at traditional barber shops, he knew that the gentleman of Austin needed something different. No wait times. No noise. Just smooth jazz and high-quality grooming from a master barber. Fusing his love of jazz with men’s hair care, Francisco created A Cut of Jazz to offer an elevated experience in a relaxed atmosphere. 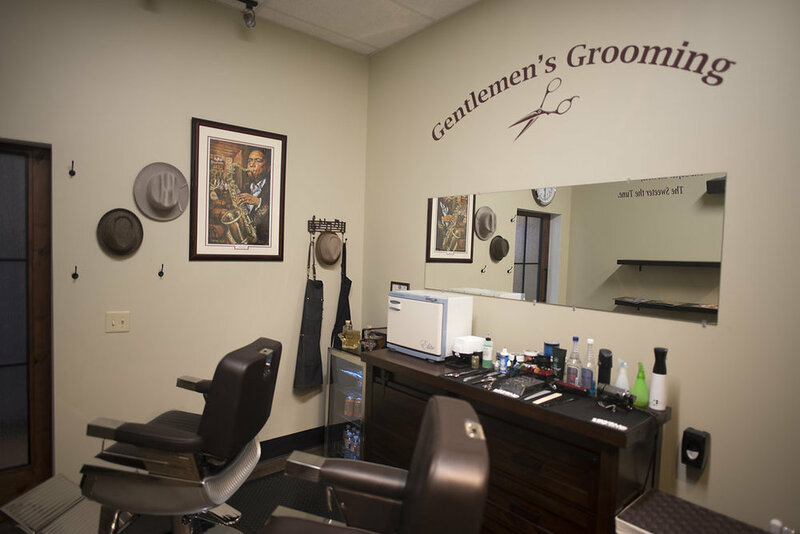 Using only the best tools and products, gentlemen can expect artistry and leisure, with appointment-only booking to make sure their schedule will never miss a beat. Designed for the modern gentleman. Curated with a touch of jazz. Look sharp on your schedule. Book instantly during studio hours, or request a time of your own in studio or at home. Contact Francisco to request extended hours or book your in-home experience today.